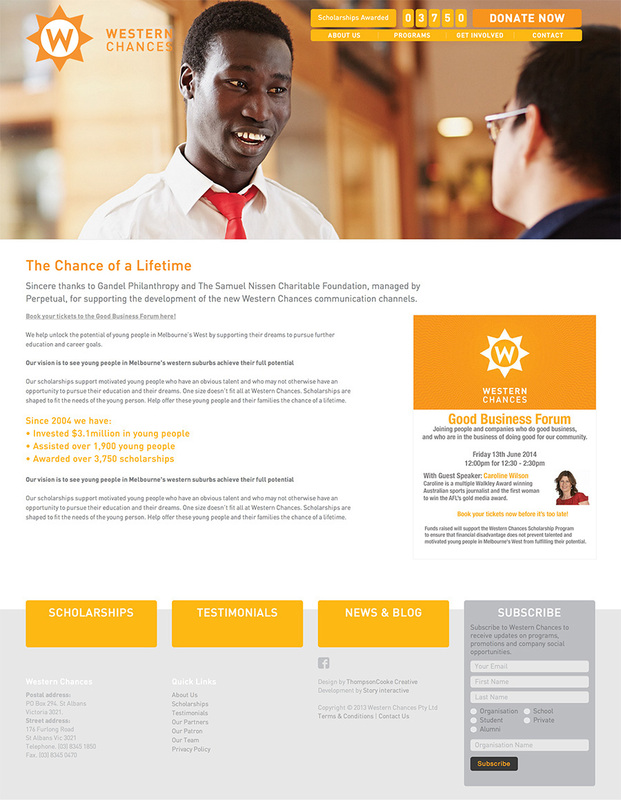 The Story Group, along with one of our agency partners Thompson Cooke Creative, were thrilled to work with Western Chances and help build their new website. A fully responsive site combines ease of use with the power of ExpressionEngine to make an enjoyable experience for both user and site managers. Western Chances also manage and send regular "segmented" newsletters to their large subscriber base - subscribers can manage their subscription details though the site.